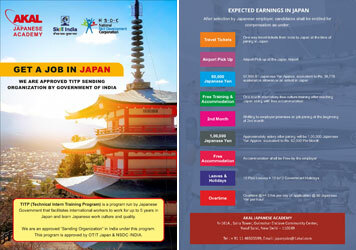 Get an opportunity to work in Japan for 3 to 5 years. AKAL, in JV with a Japanese company Tozai Shoko, holds official license as a “Sending Organization” from the Government of India to send candidates to Japan under (Technical Intern Training Program) TITP Program. The Technical Intern Training Program is a work training program providing employment opportunities for foreign nationals in Japan. Administered by the Japan International Training Cooperation Organization (JITCO) its stated purpose is to provide training, technical skills and technology experience for workers from developing economies like India. What is the Eligibility Criteria for TITP? Experience: 6 months to 1 year in relevant area. What is the Selection Procedure for TITP? Selection of interns for TITP is purely based on their qualification and how well they perform in their interview. Is any Fees involved in TITP Program? Yes, In order to get registered under TITP Program, candidates have to pay the Program Fee. The fee is collected only after the candidate successfully clears the initial selection interview and decides to go through the Japanese Language & Cultural Training. New Batch Starts on 30th April 2019. Register Now! The Technical Intern Training Program is an on the job training program providing employment opportunities for foreign nationals in Japan. Administered by the Japan International Training Cooperation Organization (JITCO) its stated purpose is to provide training, technical skills and technology experience to workers from developing economies. This government-run internship program was first established in 1993. In India TITP is an initiative taken by the Indian & Japanese Government to send Indian Trainees to Japan, for technical training. The aim is to provide a platform and to prepare young workers from India by helping them acquire industrial & vocational skills as technical intern trainees in companies in Japan for a period of 3-5 years, so that they can utilize such skills for economic and industrial development after their return to home country. 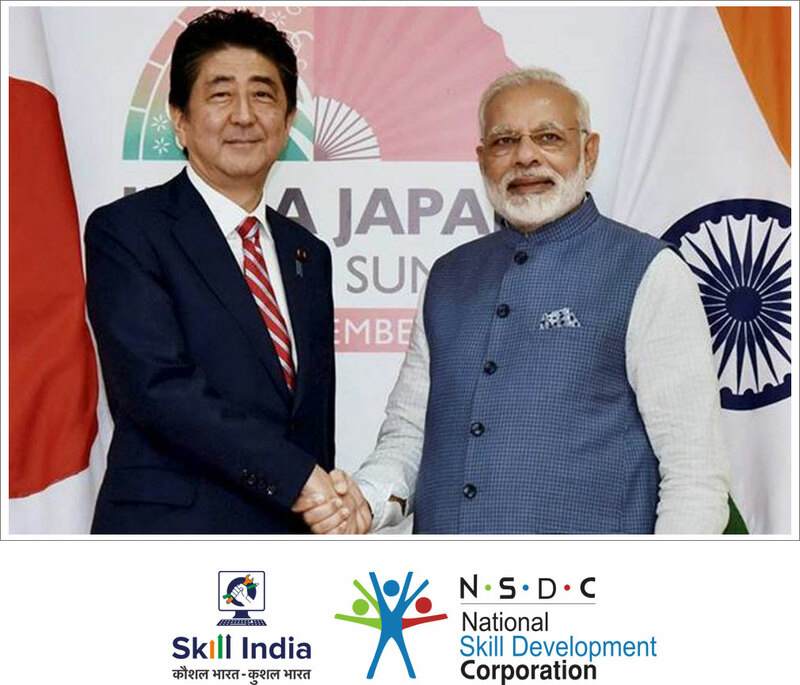 During the visit of Prime Minister Shri Narendra Modi to Japan in November 2016, India and Japan had concluded a Memorandum of Cooperation on skill development and later bilateral Joint Statement was issued during the visit of Prime Minister Shinzo Abe’s visit to India in September 2017. Finally, India and Japan concluded the Memorandum of Cooperation (MoC) on Technical Intern Training Programme (TITP) on 17th October 2017.